This episode of the podcast is a little different than our usual. We will be focusing on brain training exercises, exercises that the truly successful entrepreneur should be investing in. This could consist of getting past your negative self-images by learning to reprogram your brain and re-optimizing it. I see so many people unknowingly sabotage themselves by making the mistakes we talk about in this podcast. John is an authority in this kind of brain training and we’re lucky enough to have him share his methods with us. 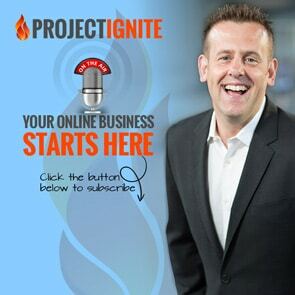 Welcome to the Project Ignite podcast, this is your host, Derek Gehl. Today’s interview is with a pretty incredible entrepreneur; someone that has started, grown, and sold numerous massively successful organizations, someone that has been a New York Times Best Selling Author–books you may have heard of, The Answer, and Having It All–and you may have actually seen him on the hit movie The Secret! But none of that is why I have him on the show today. 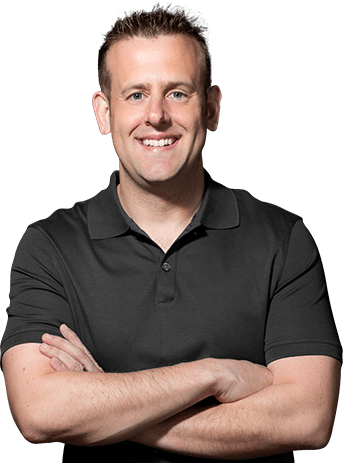 The reason I have him on today is because for the past several years he has been focusing a lot on a topic that is near and dear to my heart–re-training the brain to break down so many unconscious mental barriers that sabotage people’s successes. We’re not going to be talking about the hype or the fluff, because the person I’m about to introduce you to is well versed in evidence based brain research. So, without further ado, I’d like to welcome John Assaraf to the show. John, thank you for being here today. Hey, Derek, great to be on. Just to start things off, we’ve got lots of entrepreneurs listening to this podcast that are just starting out. What about your journey? From the beginning to being this authority on evidence based brain research? What was your path to get here? That’s a great question. If I take you back thirty-five years, I was a troubled teen having multiple run-ins with the law. At nineteen I was introduced to a really wonderful real estate entrepreneur, who taught me more about my brain, and my thoughts, and my beliefs, and my habits, then I could’ve ever hoped for. With that guidance, knowing that I wasn’t my thoughts, or my results, or who I thought I was–which at that point was a worthless, skilless teenager with low self-worth–he showed me that by changing my thought processes and retraining my brain daily, it was easy for me to start seeing that all those years of my childhood feeling like I wasn’t good enough, it was just something I had conjured up in my head as a result of what I was told. Slowly but surely I started to focus on bigger and bigger goals, and fortunately, with him as my mentor, I learned the importance of goal setting and working to achieve those goals, and improving my skills daily. When I was in my mid-twenties I met two other mentors who were the most successful sub-franchisors of any franchisors in the world at that time, they had somewhere around 5,000 Remax offices under their wings. They would do around $25b then, they do closer to $65b or $75b today. They started teaching me the world of franchising and specifically the world of processes and systems–you can spend forever and a fortune trying to figure out which processes and systems to go with, or you can just pay someone to be shown what works and then you can start applying them. I didn’t understand that at first, but once I did understand franchising, I recognized all of this as a short cut and by following what they told me, I built a hundred office Remax operation from 1987 to 1997, which I then sold in 2007 with a thousand-five hundred agents that were doing on average $4b or $5b annually in sales. I had some good mindset and skill set training by experts, and that really fascinated me, but also helped me to implement what I had learned into my own operations with my own agents. Let’s dive in from there. Here’s why I wanted to get you on this show. We’ve known each other a long time, and you know my focus has been on teaching people how to start business on the Internet. Everyday I’m dealing with both established entrepreneurs but also the brand new folks. My biggest frustration is that every day, I meet incredible people with the best intentions, but they never go anywhere with it. Sometimes they’ll take that first step, and they wind up sabotaging themselves every step of the way. Why does this happen? That’s a great question. There’s a few reasons for that, but often-times we can start with self-image. We’re born without a self-image. We know nothing about how good we are, or how smart we are, or how successful we’ll be. That isn’t written anywhere in our genetics. What happens is, by the time our imprinting years are over, we start to get some ideas around who we are and what we want to do. We start school, we learn about being a firefighter, or a nurse, or a CEO, or an entrepreneur, and we start to decide and formulate all of these ideas of what we want to do. Then somewhere between our teenage years and our early twenties, that CEO, the executive director, that part of our brain starts to come online. The good news is that we can start to make decisions about what it is that we want. But the challenging part is that if we have any contradictory messages in our sub-conscious brain, that’s where the problems lie. This is the Einstein part of the brain. This is where our dreams come from. Then there’s the Frankenstein part of the brain that says, “but when you were a kid, you tried this and you failed. You were laughed at.” We have these different parts of the brain that start competing for our attention. This is where the goals and dreams come from, but it’s impossible to outperform your internal self-image. So when you think, what is my self image? What you believe, not what you tell people. Do you really believe you’re worthy of achieving that dream? Do you think you have the skillset, and the knowledge to get there? Do you believe that you have the ability to learn or put the people in place to help you? Do you believe that you can? If the answer is, absolutely! Then guess what, nothing will hold you back. But as soon as you start to sabotage your behaviour, through either your thoughts or your actions, you have to ask yourself a question. What’s causing me to sabotage my behaviour? If you do any research into neuropsychology, you’ll find that there’s got to be something on a subconscious level that is triggering that behaviour. Most people haven’t really taken the time to figure this out. But it’s no different than the lottery winners, Derek. Buy a ticket every week for ten years, they finally win, but after three years or so, 80-90% of the money is gone and they say it’s been the worst experience of their lives. The reason is the external world of having the money did not match the internal map of reality comprised of their beliefs of themselves. So they sabotage themselves, even though they wanted more money. Let’s create a character here. We’ll call her Jane. So Jane is 36-years-old, she’s got two kids, had a job, not getting ahead, and decides, I want to make a change in my life. She’s got this belief system that have been created from her life experiences. First of all, how do people identify and recognize their own self-image? How do you get to that level of awareness? Absolutely. There’s a variety of different ways. One is through questions, and really being totally honest with yourself. That’s what a lot of psychologists will do, through talk therapy. That’s one way. Another way is to move into a very relaxed and aware state. The tools to do that come in the form of mindfulness, or meditation. Most people are in automatic mode all day, but when you’re mindful, you start to become aware of the negative chatter happening in your mind. We have up to 50,000 thoughts each day, and for most people, those are largely negative thoughts. That’s just because of the nature of A) conditioning, and B) survival. By default, the brain is looking for patterns and once it’s identified all of these patterns, it will start to try to predict what will come up next. Who said anything about another number? That’s what comes up because we’ve identified the pattern as being an increase in increments of two. Your brain is constantly looking to figure out what the pattern will be so that it can just automatically act. So how does Jane figure out what is causing her negative thoughts or behaviours? Number one, you don’t actually have to be aware of what’s causing it in order to be aware of it and change trajectories. Our brain is working 97%, 98% of the time without any conscious effort from you as far as what you’re thinking about. It’s behaving in a process called automaticity, over, and over, and over again, to simplify what you’re doing, and also to conserve energy. But when you take time to be aware of your thoughts and emotions, you can now have a choice and direct your attention versus being a victim of it. I think most everyone listening has seen the movie Groundhog Day, where we repeat the same day over and over again. That is truly what is happening to most people. They’re repeating the same patterns over and over again without giving themselves the time to be still, be aware, and then be at choice. That’s where it begins. There’s a very quick Four R process that we teach in our brain-training program and it starts with a word that you just mentioned. First, you must be aware, and Recognize your predominant thoughts. Are they constructive? Or are they destructive? That’s the first part. The second part is around recognition of emotions. Emotions are neither good or bad, they are either pleasant or unpleasant in varying degrees. Naturally, we want to move towards more pleasant emotions, but there’s a conflict here. Our brain is wired to move us away from pain first, before it will move to pleasure. What does that mean? Let’s say you’re an entrepreneur with a goal of making $100,000 per year, with an unconscious fear of failure. You’d be ashamed, you might lose money, you might hurt your reputation, disappoint yourself or your family… Whoever. As soon as that unconscious fear is triggered, you will immediately move away from that possibility first. You’ll start to have negative thoughts, and start to rationalize–you’ll tell yourself rational lies. You’ll start to self-talk your way out of it. The second way is that you’ll have unpleasant emotions that you’ll just want to move away from. This leads us to the third part, which is your behaviour. If you want to know what you’re doing on a daily basis, why not take a sheet of paper and just write down your activities for the day. Then ask yourself, how many of my actions were high impact, revenue-generating activities, versus low impact or administrative activities. Here’s what you’ll find. The more you’re able to focus on high-impact activities, the more you’re going to earn. Anything other than earning is moving furniture on the Titanic. You just need to invest a little time to pay attention to what you’re thinking, how you’re feeling, and what you’re doing. The second R is around Reframing your thoughts and feelings. Those are skills that you need to learn. You have to learn how to reframe these things so that they don’t have a negative or destructive impact on your result. The third R, and this is a powerful part–is Releasing any thought or emotion that isn’t moving you towards your dreams. I’m going to give you one simple way to do this. When you recognize an unpleasant thought or emotion, don’t suppress it. Be an observer of an emotion or a thought. You’re not your thoughts, but you have thoughts. If you have a thought, ask yourself if it’ll move you forwards or backwards. If it’ll move you backwards, just let it float by. Don’t let it infiltrate your chemistry. If you observe the emotion, they will not last for more than 90 to 120 seconds. It’s only when we observe the emotion and focus on it that it recreates the same thought or emotion in a perpetual loop in the brain. When we only observe, we feel, we create this new neural pattern, and if we do that often enough, the brain will make that into the default pattern. So in the release phase, the key is to be observant and then allow them to flow by if they’re not serving you, and if they do serve you, keep focusing on those to create those new neural patterns. The fourth is Retraining your brain. You have to do the first three parts, but you can accelerate this. A simple thing that everyone has heard of but very few people actually do on a daily basis. That is, see yourself already achieving the goal that you want to achieve. See yourself, feel yourself, act, pretend. Your brain doesn’t know the difference between real and imagined, so once you get this picture ingrained into your brain, your brain will start to procure good thoughts and emotions for you. Your brain will activate the left prefrontal cortex–the CEO part of the brain–to start hear, feel, and see things that you never did before. Wow. I wish you could see my desk right now. I’ve got ten post-it notes on my desk with notes everywhere. I have a question for you. There’s a certain level of self-awareness that is required to be able to implement what you’re sharing. This is a passion of mine. I like your approach on this, because it is evidence based, and the brain is a muscle. Everything happening in our bodies is chemical. So you can control and retrain that. The challenge that I see in so many people is getting to that level of self-awareness. You mentioned mindfulness, or meditation. I don’t know if I’ve told you before, but I’ve been diagnosed as ADD. In the entrepreneurial world, there’s lots of us out there. So how do we shut our brains off? How do we get to that point? And I know you’ve developed systems, but what’s my first step? Well first, saying you have ADD is kind of like saying, I’m ill, how do I fix it? There are many forms of ADD, and so, for example. My son has ADD but specifically around the visual processing part of his brain. So with him, we started trying to enhance the auditory part of the brain rather than the visual, and taught him to mind-map instead of taking notes. So depending on what kind of ADD you have, you can come up with a process to be able to deal with the type that you have. Number two, there are meditative practices that anyone can use with ADD to get more focussed or in the zone. How do you trigger the beneficial parts of your ability, like hyper-focus? There’s a component to mindfulness that involves following certain thoughts on your command versus your thoughts just being scattered all over the place. So, remember. First, you have to recognize the pattern and create a counter-strategy. That totally makes sense. And you’re right, there are different kinds of ADD out there, I didn’t know that. So for the average person, that’s out there, and is dealing with these internal beliefs, getting to that level of self-awareness. What’s the first step? I would start everybody off with setting a goal that scares them. The reason I say that is because most people set goals that they know they can achieve. When you set a goal that you have no way of achieving right now, that’s going to trip the fear centre in the brain. As soon as you have those doubts, the fear centre kicks in and that’s a good thing. You’re stretching and expanding your beliefs around what you’re capable of achieving. If you go into the question modality of what would I have to learn? What would I have to believe? Who would I have to know to achieve this? You’re activating the cortical functions of the brain, and moving to a solution based focus instead of a fear based focus. As soon as you do that, your brain goes to work. Even if you don’t do that right now, as soon as you channel those cells in your brain and body to focus on those questions, not only are you using your intuitive factors, you are directing your brain to find things in the real world that will make it more of a reality. Of all the people that have achieved great things in the world, nobody had the solution initially. We started to use the faculties of the mind, and higher functions of the brain to start solving the challenges that we currently feel right now. So if you’re starting off, right now–I’ll never forget when I was 26, I had just purchased the franchising rights for Remax in Indiana. The first two weeks there I had someone there from a business journal come in and interview me. He asked me what my goals were. So I was honest, and I said I wanted to be the first company to do a billion dollars in sales in Indiana. And he said, there’s been companies here for a hundred years that have never done a billion dollars in sales. In fact, the top three companies hadn’t hit a billion dollars in sales collectively. So I said, well, I guess I’ll have to be the first. I was cocky, and young, but had I not set that as a goal, I would not have tried to figure out how to do it. In 1992, five years after I arrived, we hit $1.2b. What happened is the same thing that happens to everyone. Just because you don’t have the resources right now, doesn’t mean it isn’t possible. An example. So you all have your own businesses right now. We’ll call it Business X, and you repair windows for people. To someone without a lot of experience, they might think, well if I could make $100,000 or $200,000 per year, that would be awesome. Well let’s change the picture a little bit, let’s say that you made the decision to be the largest window repair company in the world. And then you were introduced to Bill Gates after you’d decided that, and he said, I really want to get into this business. Would you then think it was possible to be the largest window repair company in the world? Absolutely. Why? Because you have a new resource. You’ll never find those resources until you set the goal. 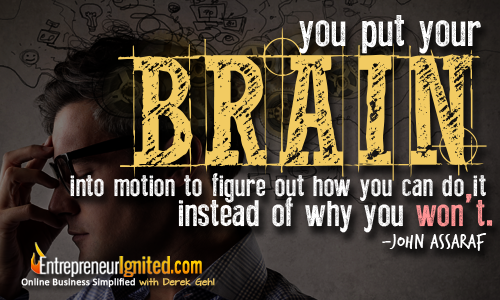 You put your brain into motion to figure out how you can do it instead of why you won’t. So. I’ve got one more question before we wrap up. This is a recurring challenge I see. Someone is going to listen to this podcast, take all kinds of notes, they’re going to set their goals, get excited about it, start planning, and then they’re going to go to work tomorrow. And then life will get in the way. How do you keep this front of mind? There’s two answers to that. When I was nineteen, my first mentor asked me a question that transformed my life. He said I could teach you all of this stuff, but I need to know one thing. Are you interested in achieving all of these goals and dreams you’ve told me you want to achieve, or are you committed? I said to him, I don’t understand the difference. And he said, if you’re interested, you’ll only act when it’s convenient. He said, you’ll fall straight back into your own patterns. And I said, okay, I’m committed. He said, okay, great, now I need you to focus one hour per day on retraining your brain if you are serious in achieving those goals. If you allocate the time to disrupt those neural patterns and solidify new ones, at the end of one year, you’ll have retrained your brain for 9 40 hour weeks. You won’t be the same person you were. I said absolutely. I’m in. I started retraining my brain at nineteen. I started meditating and visualizing and reading affirmations, no differently than a hollywood actor as I mentioned before. I practiced, drilled, and rehearsed, daily. That was because I made a commitment. You have to ask yourself one huge question. Why must you do this? Why must you do it now? If you have reasons why you will not or could not do it, that’s going to win. If you cannot create leverage for yourself, you’ll have listened to this podcast, and then tomorrow you’ll revert to your old ways. If you can come up with a reason why you will and must do it, you can do it. It needs to be bigger than your fears. I wholeheartedly agree. For everyone listening, this isn’t down the normal veins of interviews that I do. But I’ve been around enough entrepreneurs to vouch for the validity of everything John is sharing with us today. I’ve seen people try and flourish by implementing this knowledge. Honestly, John, what I like about your approach is that there’s solid science at the base of this. That’s why I respect and love what you do. Thank you so much for sharing so much with us here today. Where can people learn more about what you’re doing? You’ve built incredible systems and processes that people can use in their lives. Where can they find that? If anyone wants to learn more about this research and overcoming your negative self-image, we do this thing called a Brain-A-Thon where myself and world renowned psychologists and experts get together and teach people how to overcome the stuff that’s holding them back, and we introduce you to our technology as well. You can find more about that at YourBrainAThon.com. You can sign up, which will make two things happen. You’ll get an invitation to the event. 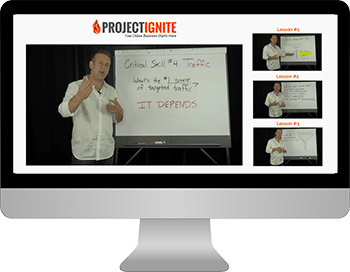 If you’re a student of Internet marketing or systems and processing, pay attention to our emails and follow-up emails and our videos, and you’ll learn a ton about what we do. 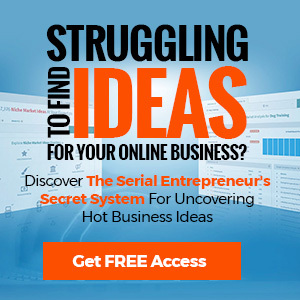 We generate about 60,000 new prospects per month. By signing up you’ll be able to see what all of that looks like. If anyone missed that URL, it’ll be in the shownotes at the Project Ignite website. First, like John said, go there for everything we’ve been discussing, but also because John is an incredible Internet marketer. If you want to see a very successful system in process, go sign up, and observe everything John does. John, thank you so much for your time today. I really hope I can get you back in the future. Thank you, Derek. It’s been a pleasure reconnecting. 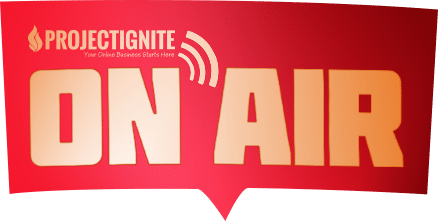 Alright everyone, that was the Project Ignite podcast with John Assaraf. As usual, the transcript, shownotes, and recommended resources will be up at ProjectIgnite.com/podcast. Check us out and leave us a review on iTunes, we’re topping the charts all over the world right now. Have a fantastic, prosperous, and productive week, and we’ll see you in the next episode.